Snowbistro is put together by a team of specialist ski writers who have all done seasons, been there and bought the season ticket! We are passionate about helping British skiers & snowboarders get the most from their next snow holiday. Snowbistro.com achieves traffic of over 500 page views a day in the height of the ski season. We offer ski business owners and advertising partners the ability to connect with a targeted audience of British wintersports lovers, who are researching a ski holiday, at a reasonable price. These visitors range from committed skiers and snowboarders seeking new experiences from solo skiers to families. 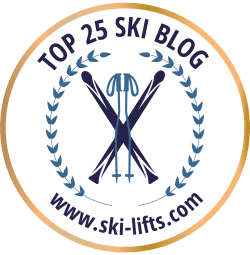 We also boast a readership of influential ski trade professionals and our annual Ski Content Awards results in positive promotion. We also know our ski seo and how to get traffic from google. We’re picky about the ski advertising we’ll accept. We will research your business and do our due dil to work out whether we will be a good fit together. We are looking to build longer term relationships with you and your company. This is why we don’t do anonymous programmatic style CPMs; instead we offer transparent fixed priced packages that can include full site takeover opportunities. If this sounds like your cup of tea just get in touch.